LANGKAWI: First of Many. ATSC Sdn Bhd will hand over to the RMAF Sukhoi Su-30MKM M52- 11 tomorrow on the opening day of LIMA 19 the first Flanker to undergo the 10 year maintenance program at its facility at the Gong Kedak airbase. Tail number 11 is among the 10 Flankers taking part in LIMA 2019 as reported before. The aircraft was handed over to ATSC in 2017 for the 10 year service program as reported previously. It is likely the aircraft was already undergoing maintenance hence when it was handed over to ATSC for the program. 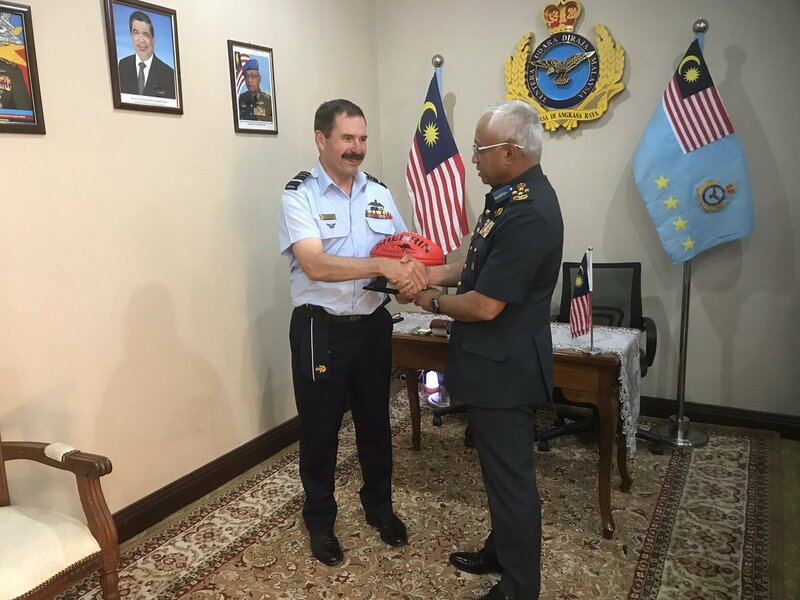 ATSC’s corporate and contract administration senior manager Mazliza Mohd Noor said the particular aircraft, with military registration number M52-11, would be officially handed over to the RMAF tomorrow. She said Prime Minister Tun Dr Mahathir Mohamad was expected to hand over the aircraft to RMAF chief General Tan Sri Affendi Buang at a simple ceremony. The event, to be witnessed by Defence Minister Mohamad Sabu, is scheduled to be held just after Dr Mahathir opens the 15th edition of the Langkawi International Maritime and Aerospace (Lima) 2019 exhibition at the Mahsuri International Exhibition Centre at Padang Matsirat. “The preventive and restoration work was done at a much lower cost domestically, rather than send the aircraft to Russia to have the job done. “We are planning to undertake life-extension work for the remaining of the RMAF’s fleet in stages,” she said. Five of the six Flankers taking part in Eks Paradise 2017 at the dispersal site at Labuan airbase. I have been told several more Flankers will undergo the same program as number 11 as the aircraft was supposed to be the proof of concept for the ATSC led program. 17 Responses to "First Of Many?" I want TUDM and ATSC to answer on why IAF got extension to 14 years while we are still stuck with the old 10 years interval? A possibility is that; having only a small number of Flankers, ours on average tend to fly more hours that IAF ones. As of a few years ago the IAF reportedly had serous servicibity rates, due to several factors. One solution was to produce locally various components/parts. The real question is : after how many hours (as specified by the OEM) does a Flanker have to undergo depot level maintenance/overhaul? Yes this is a good news i suppose. As it is a sign that the MKM overhaul is a go. Is PTDI bringing a gunship to LIMA? Don’t worry lah,actualy I believe that all Indonesian military fans already know some of the good things about our military that surpass them but they just can’t admit it due to their ego.We just continue with our positive discussion here without bringing their childish attitude in here. About the Su-30MKM overhauled by local company ATSC-to me its such a good step for us.At least we can do it in our own country without need to send it to Russia,Belarus or Ukraine.Hope more to come. Glad to see that our Su-30MKM fleet come back to life. So many news about JF-17. 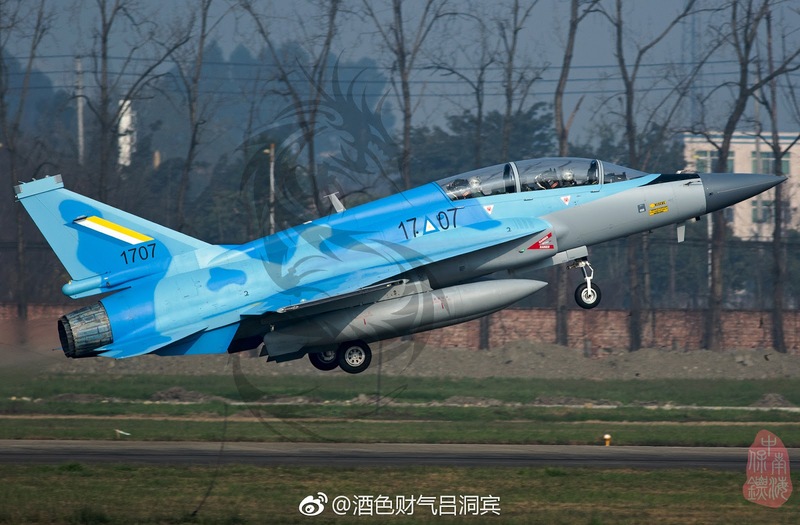 This is JF-17B for Myanmar. All jets are build at Chengdu, China instate of Pakistan. Did the SLEP done by ATSC has any Russian involvement? On monday a JF-17 has been shot down by HQ-16 SAM missile. It is a friendly fire situation. In tense situation, a clear picture of the current scenario, updated IFF protocols between ground based air defence and friendly and civilian aircrafts is extremely important. Things like this and MH17 must not let to happen. Bravo to the great airmanship of the crew of that Hornet. Missed an important point due to the very messy way the reporter writes the article. The ATSC cost is only 70% of the budgeted RM2.2 billion cost. So it is about USD20 million, compared to USD16 million (Rs 110 crore) HAL india MKI overhaul cost. It is actually lower than the figure you mentioned. Lower cost than that? Then that is a great news! Could it possibly be even lower than the HAL cost? See as i said previously an overhaul should not cost much. So why did someone previously told you the cost would be more than 50% of the original bought price of the MKM? PTDI offering conversion of CN-235 to MPA. I never knew we already normalised relationship with Russia despite MH17 still unresolved. I guess that was the previous government’s problems, not the new one.